Solomon Kane is, perhaps, one of R.E. Howard's most interesting characters, at least to my mind. He was a man born out of his time - a strange blending of Puritan and Cavalier, with a touch of the ancient philosopher, and more than a touch of the pagan, though the last assertion would have shocked him unspeakably. An atavist of the days of blind chivalry he was, a knight errant in the somber clothes of a fanatic. A hunger in his soul drove him on and on, an urge to right all wrongs, protect all weaker things, avenge all crimes against right and justice. Wayward and restless as the wind, he was consistent in only one respect - he was true to his ideals of justice and right. Such was Solomon Kane. That about sums him up and though this might make him seem like the average do-gooder, his background is mysterious and he has a cloud of darkness about him. Ancient magic and Puritan faith share an uneasy coexistence as well as a barbaric savagery that comes up when he senses injustice. So, no, he's not the typical do-gooder. This volume of collected short stories, novellas and poetry featuring Solomon Kane is is a fitting tribute to one of REH's lesser-known characters as well as to the writer that spawned him. Gary Gianni's beautiful illustrations throughout the book provide the perfect mood and atmosphere to these weird tales. Plus, a short biography follows the stories as well as notes on the text. This book is a keeper. With how much books cost these days I can't go out and buy as many as I'd like, but I'm glad I bought this one. Some of the stories, while entertaining in themselves, are just fragments. This is unfortunate, but I didn't mind too much. Gives me the chance to imagine how I think it would end. I don't think REH's prose could ever be called polished, but he wrote with a vitality the matched the vitality of his heroes and it is not hard to get swept into the exuberance of these stories. In fact, I think the fact that his prose is not so refined is one of the things that attracts me to his stories. Blood and muscle and steel with unearthly horror thrown in-- too much refinement would have been out of place. Many of the other reviewers have noticed, and have found troublesome, the apparent racism in these stories, and this is a rather important issue. It is to our credit that we can recognize this racism as such and it certainly should not be overlooked for the sake of entertainment. I wouldn't blame any modern reader who couldn't get past it. But it would be hard to fault REH too much for these instances. He was, after all, subject to the common prejudices of his time, and I would even venture to say that he was less racist than many of his contemporaries, most notably H.P. Lovecraft (Significantly, Howard grew to deride HPL's more extreme views, as noted in the biography). 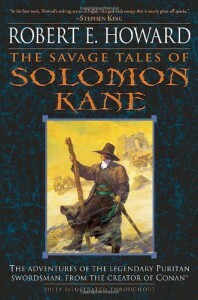 While even the most enlightened of the stories present a rather simplified view of the African people whom Solomon Kane associates with, it is worth mentioning that the later stories, like the last fragment "The Children of Asshur," places the Africans in a much more sympathetic light whereas the antagonists were of Aryan stock. I attribute this to Kane getting to know the people of Africa better, since, by this time, he has spent a good amount of time there. It would be hard to expect these old stories to be absolutely in agreement with modern notions of racial harmony. Fundamentally, however, the racial stereotypes in the stories seem to me to be more as literary conveniences rather than representing any inherent beliefs of REH himself. 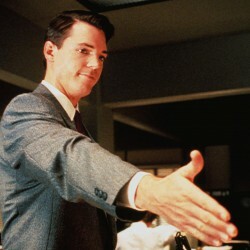 REH considered himself an outsider in his own time and land, therefore it is reasonable to conclude that he used these stereotypes to emphasize Kane's own "outsiderness." At the heart of it all, Solomon Kane's quest for justice for all kinds of people outweighs his limited 17th century worldview. This, of course, is not an excuse or anything, but I believe it places some perspective on the issue. Certainly, I would recommend reading through the book even if it places some discomfort on the reader to recognize that Kane (and REH himself) placed far more importance on the concept of justice than he did on any sense of racial superiority. More importantly, when we read these stories it is is easy to see how far we have come along (in a positive way) as we advance toward racial harmony.